DEW-SCENTED - Relentless Thrash Metal from Germany - DEW-SCENTED » DEW-SCENTED – Announce European Tour with Death Angel! DEW-SCENTED - Relentless Thrash Metal from Germany - DEW-SCENTED » DEW-SCENTED – Announce European Tour with Death Angel! 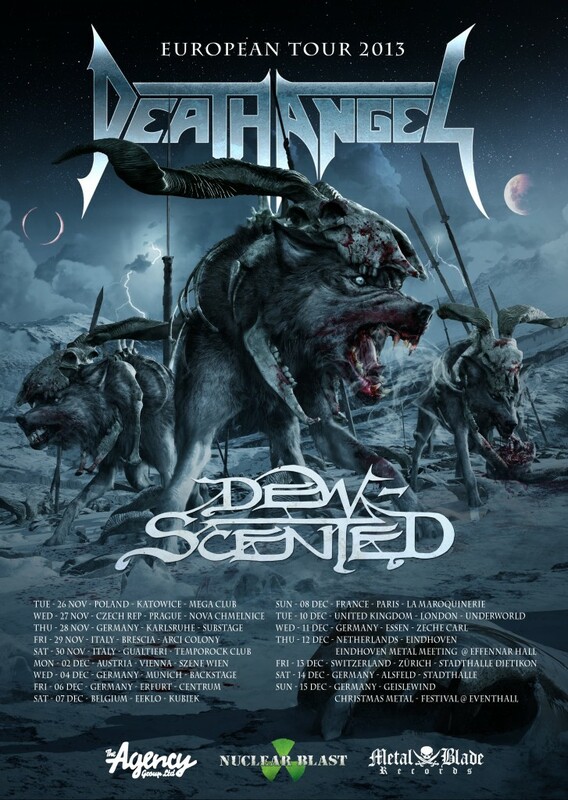 Home > NEWS	> DEW-SCENTED – Announce European Tour with Death Angel! DEW-SCENTED – Announce European Tour with Death Angel! Death Angel will be releasing their new studio album, “The Dream Calls For Blood”, via Nuclear Blast Records on October 11/15, so watch out! Check out some killer new tunes here. DEW-SCENTED touring Europe DEW-SCENTED – Launch Prong cover version via Metalsucks.net and drumcam clip for “Soul Poison (Live 2012)” off “Insurgent” release!